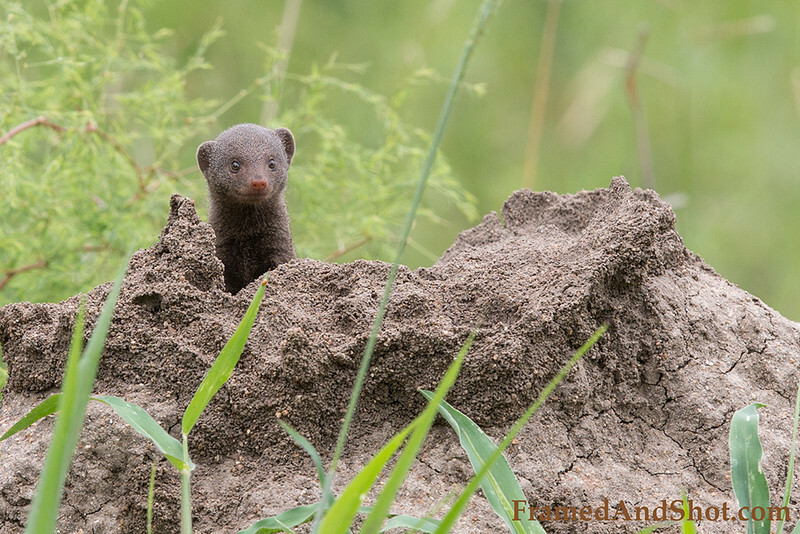 Dwarf Mongoose The Dwarf Mongoose is a typical mongoose: it has a large pointed head, small ears, a long tail, short limbs, and long claws. It is much smaller than most other species (18 to 28 cm, 210 to 350 grams); in fact, it is Africa's smallest carnivore. The soft fur is very variable in color, ranging from yellowish red to very dark brown.